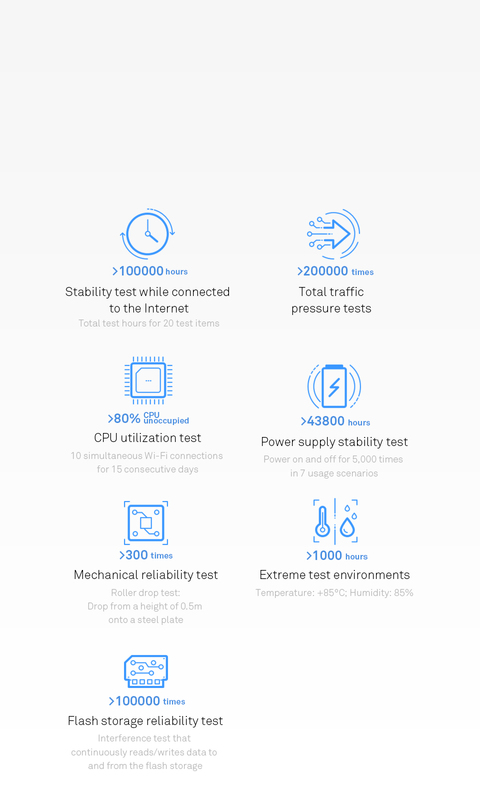 By supporting LTE Cat 6 and up to 300 Mbps download speed*1 over 4G+ networks, you can achieve 2x faster downloads than the standard 4G network*2. Now, quickly load online HD videos, shopping pages, or games in the blink of an eye. 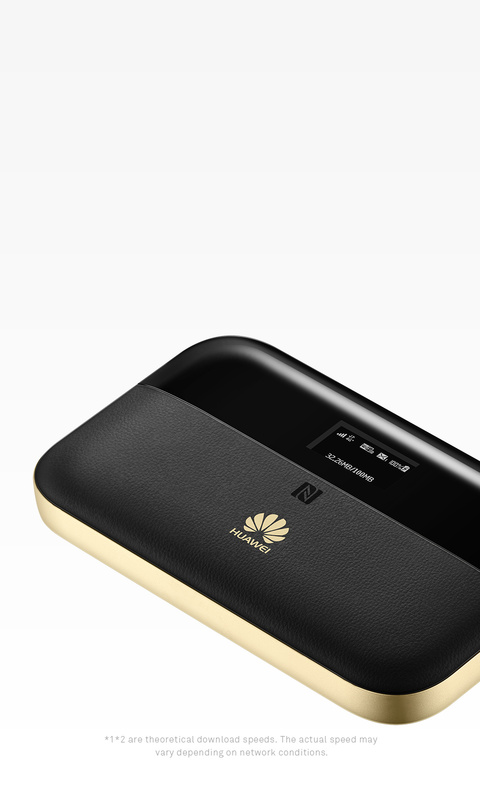 Get more reliable and smoother connections with the latest Wi-Fi 802.11ac and support for the 2.4 GHz and 5 GHz dual bands. 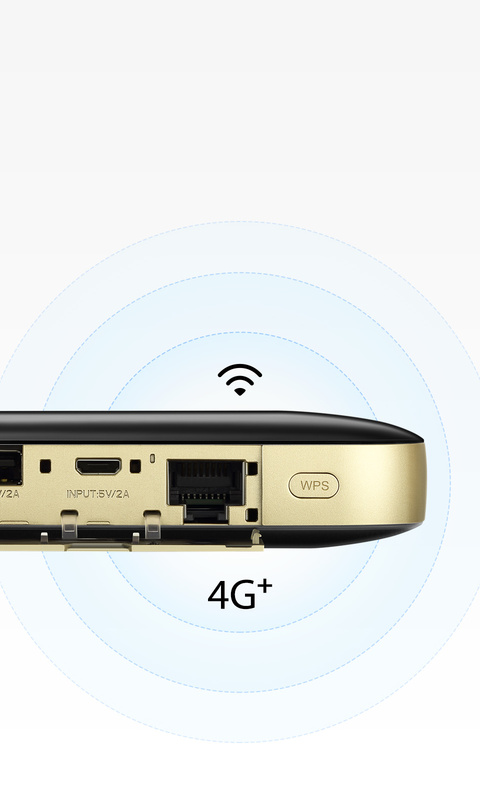 The 5 GHz Wi-Fi is less sensitive to interferences and provides users with a faster and more stable network in places like airports and shopping malls. 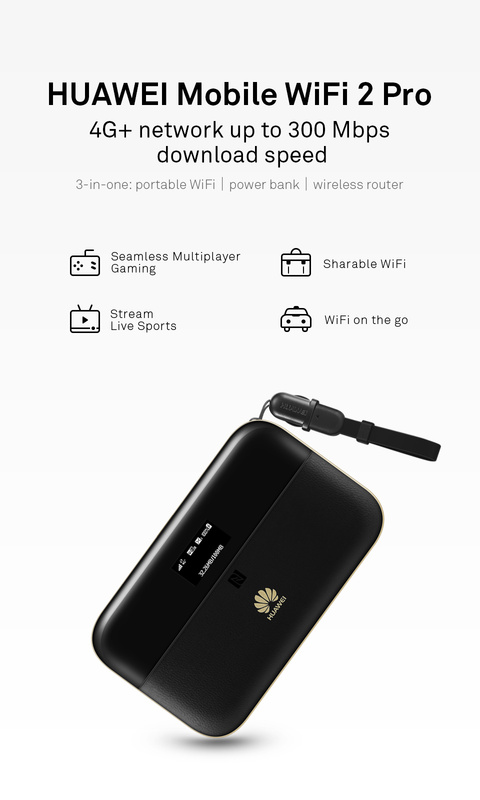 And, now this device supports up to 32 simultaneous connections to allow you to share your mobile data with multiple users. 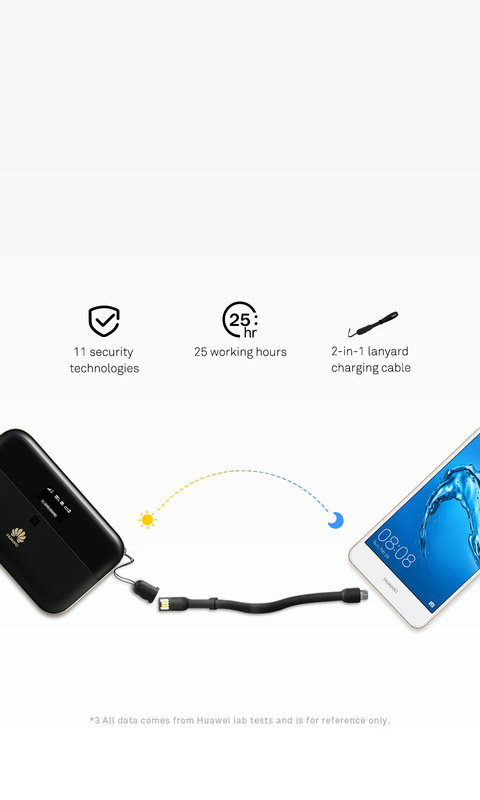 The built-in 6400 mAh (typical value) power bank with high quality battery, features 11 security technologies and a highly reliable structure design. 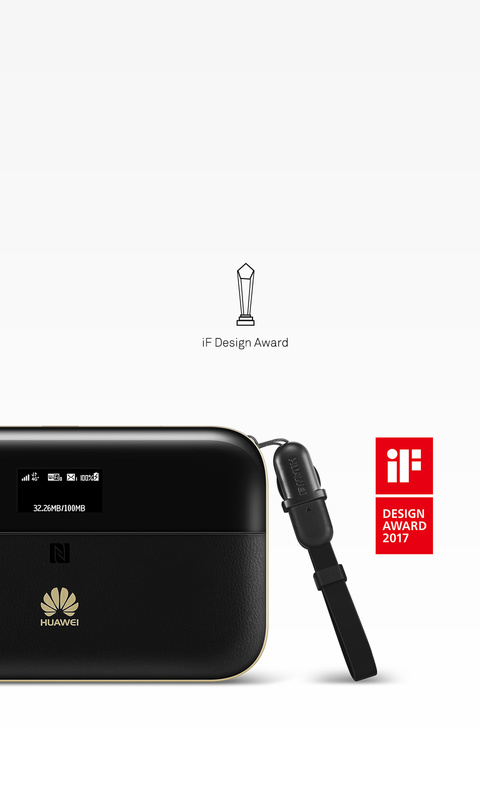 Get up to 25 working hours and 1600 standby hours*3 enabled by Huawei's smart power saving technology. 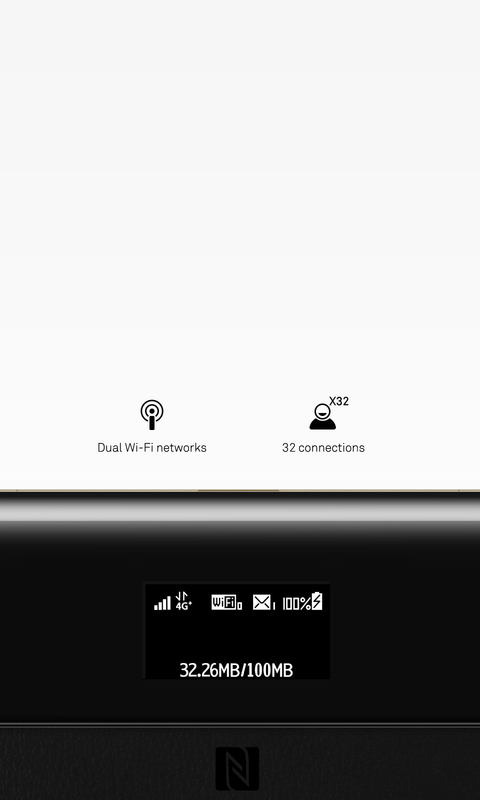 Once connected to a network port, your HUAWEI Mobile WiFi Pro can function as a Wi-Fi router to reduce your mobile data. 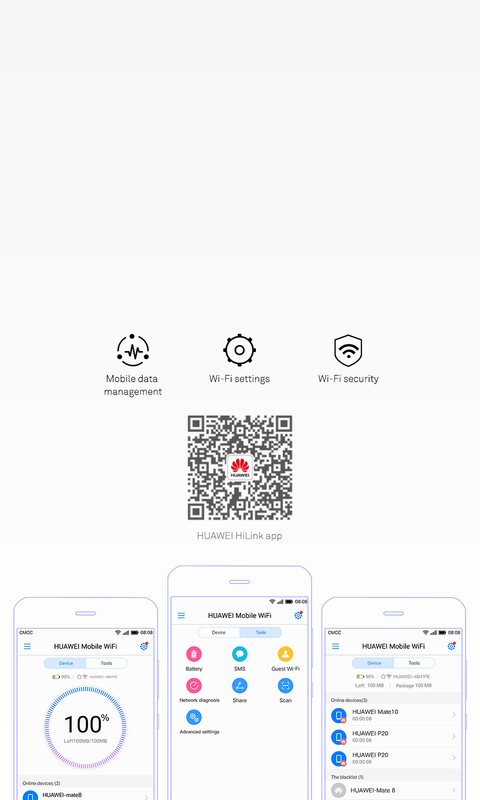 Scan the QR code below to download the HUAWEI HiLink app, to manage your 4G+ data usage, battery, Wi-Fi settings, Wi-Fi security, and more. 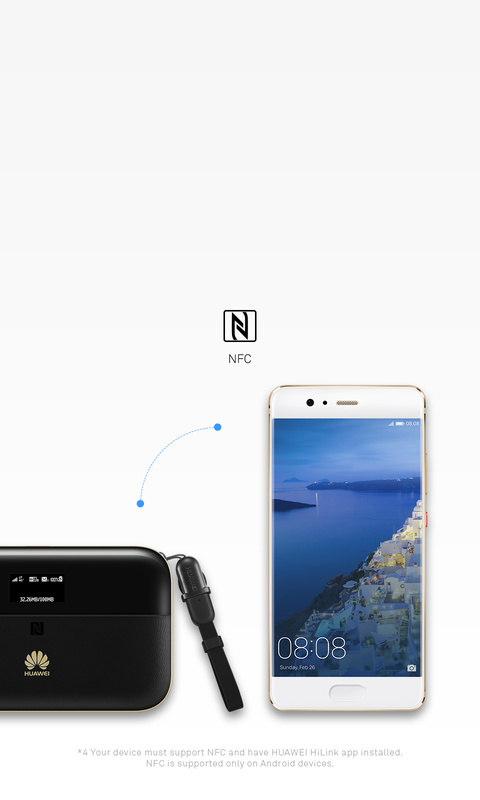 Your Mobile Wi-Fi can act as a mobile HDD if you insert a microSD card into it. 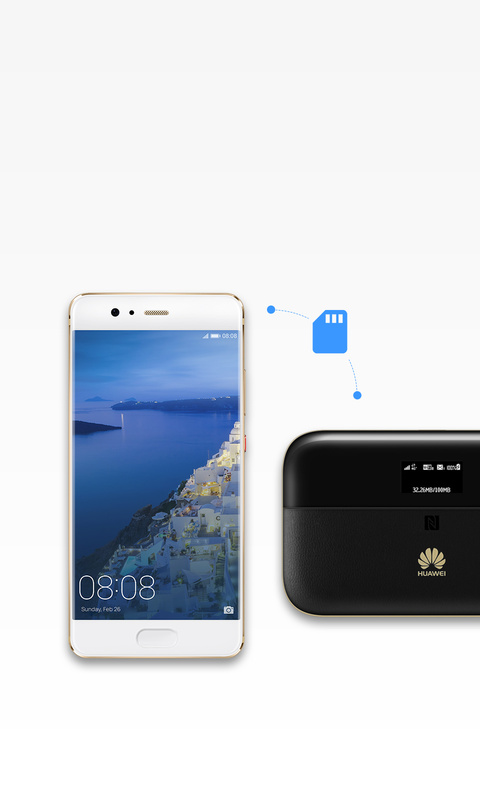 You can move some of your phone data to your Mobile Wi-Fi through the HUAWEI HiLink app or share files in your Mobile Wi-Fi with others wherever you are.